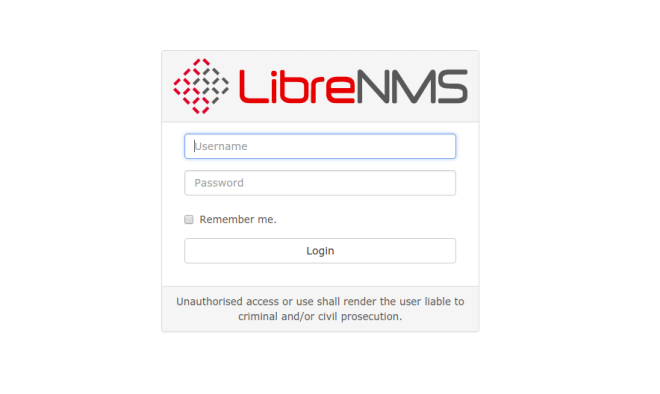 LibreNMS is an open source autodiscovering PHP/MySQL/SNMP based network monitoring which includes support for a wide range of network hardware and operating systems including Cisco, Linux, FreeBSD, Juniper, Brocade, Foundry, HP and many more. Automatic discovery: Automatically discover your entire network using CDP, FDP, LLDP, OSPF, BGP, SNMP and ARP. Customisable alerting: Highly flexible alerting system, notify via email, irc, slack and more. 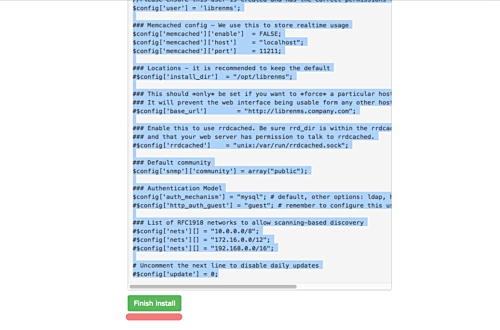 API Access: A full API to manage, graph and retrieve data from your install. 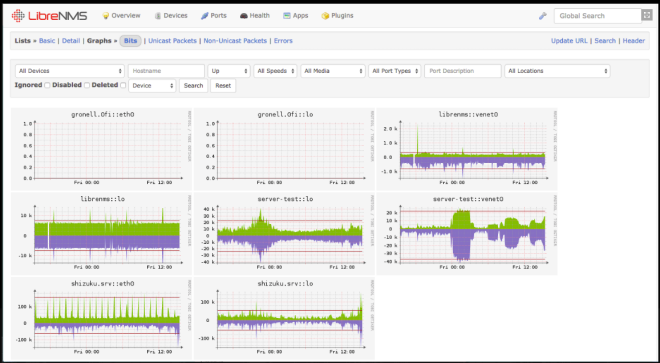 Billing system: Generate bandwidth bills for ports on your network based on usage or transfer. Automatic Updates: Stay upto date automatically with bug fixes, new features and more. Distributed Polling: Horizontal scaling to grow with your network. iPhone App: Native iPhone App is available which provides core functionality. Android App: Native Android App is available which provides core functionality. 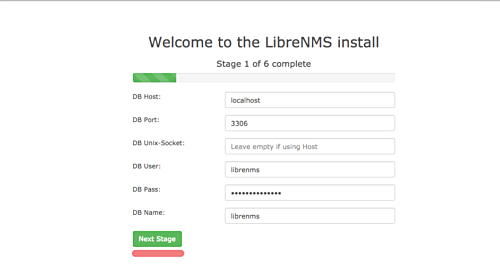 In this tutorial, we will show you how to install and configure LibreNMS on RHEL/CentOS 7 with Nginx as webserver and MariaDB as database. This tutorial assume you are the root user. If you are not, prepend sudo to the shell commands (the ones that aren't at mysql> prompts) or temporarily become a user with root privileges with sudo -s or sudo -i. Run mariadb queries below to create a new database and user, and grant all privileges on the database to the new user. NOTE: Please change the 'passw0rd' below to something secure. 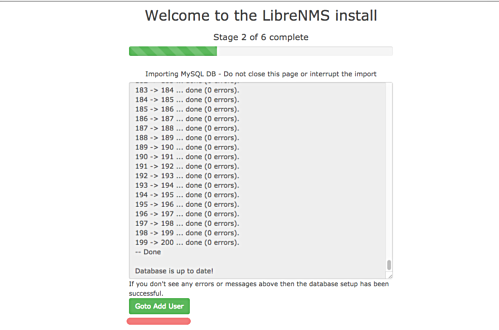 NOTE: Whilst we are working on ensuring LibreNMS is compatible with MySQL strict mode, for now, please disable this after mysql is installed. Ensure date.timezone is set in php.ini to your preferred time zone. See http://php.net/manual/en/timezones.php for a list of supported timezones. Valid examples are: "America/New_York", "Australia/Brisbane", "Etc/UTC". Uncomment the 'date.time' line and change the value with your system timezone. Edit the text which says RANDOMSTRINGGOESHERE and set your own community string. Make sure all status is green as shown below. Click 'Next Stage' to continue. Fill all the database info with your own db. Wait for the installer script to import sample of database to our database - do not close the browser tab during this process. Once done, click 'Goto Add User'. Type your admin user, email, and password. Click the 'Generate Config' button. And you will get a config file similar to the one shown below. Copy the php config script, and return back to your terminal session. Goto the '/opt/librenms' directory and create the 'config.php' file manually. Paste the configuration there, and change the ownership of the file to librenms user and group. Return back to your web browser and click the 'Finish Install' button. You are reached to last page from the librenms web installer as shown below. We now suggest that you add localhost as your first device from within the WebUI.